Although cash gifts are seen as the norm for weddings nowadays, the idea of couples asking for money remains a sore point for some guests - and requesting a monetary gift through the medium of a poem can really get people rattled! 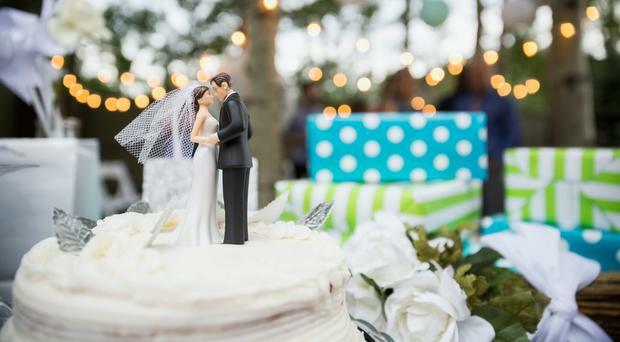 A wedding guest was left infuriated after she received a 'begging letter' from a couple who included a poem asking for a cash gift in their invitation. The poster, known as Rriot on popular parenting website Mumsnet, told fellow forum users that she had received a "tacky poem asking for cash gifts" in an invite to a friend's wedding, and explained how she was afraid she would 'look mean' only giving what she could afford. "The bottom line is, we can't really afford to give cash," she said. "Generally I'd put my feelings about this type of request aside and give what was asked for but I think the very small amount we can afford to give will look mean." The poster went on to explain that it was only guests who were invited to the evening celebrations of the wedding who were issued with the poem, and that guests who would attend the full day did not receive a 'cash gift' request. "Guests invited to the whole day didn't get a begging letter poem" she wrote. "My alternatives are to give a cheap but nice gift, or donate to the charity that I know is close to the family's heart. I do think £5-£10 cash will look mean. The only way I could give more is to give them a cash gift but decline our invitation." Fellow forum users were quick to give their two-cents on the matter, with the first asking the original poster if she could give the cash she would have spent on an alternative gift as a present instead. "Can you not give them the cash for whatever you were going to spend on them? If you can't afford to give them cash how can you afford to donate to the charity?" the user suggested. "These things are tacky but if you can afford to give to charity then you can give them a monetary present," another poster responded. "They asked for cash and that is what you should give - even if it's only a small amount." "The fact that they 'requested cash' is irrelevant," one user replied. "They don't get to do that, unless you ask what they want; it's a gift, so it's at the giver's discretion." Responses to the poster's dilemma varied from suggesting she give a small cash gift as per the request, to telling her to decline the invite altogether. "...They are basically treating you like a cash cow," said one user. "It's very rude to request money from guests, esp evening only guests, who should just be taking a token present imo." "Politely decline and save yourselves some money," another advised. "Just give a card. Especially if you're only going to the evening part. You'll not be costing them a lot (as if that mattered) so don't need to feel obliged to give a gift. Besides, they won't find out until the day after the wedding," suggested user AtHomeDadGlos. While some users agreed that cash-for-gift poems in wedding invitations aren't ideal, one queried why guests find them so infuriating. "Yeah the poems are naff," said user Notknownatthisaddress, "but why do people get irked by requests of cash gifts? Do the couples they know have someone sitting on the door on the way into the wedding (or reception,) with a log book, making a record of how much everyone gives at these weddings or something?" "Some people just don't get it, do they? You should be grateful for your gifts even if they are duplicated. Not being grateful and expecting money instead, is simply bad manners." Karen Birney, THEVOW.ie Whether they're celebrities, royals, colleagues or just some young pair from down the road, many of us can't resist a peek inside a couple's big day. Karen Birney Have you been to an unplugged wedding yet?